A month into the #iOS 11 update, our surveys show the typical #iPhone user has seen from 1% to 5% of their apps become unavailable (because the app hasn't been updated for iOS 11). Just prior to the release of iOS 11, about 10% of apps were not ready. Users with large numbers of apps on their phones (more than 100 third-party apps) seem to see a higher rate of abandoned apps. Presumably users with fewer apps are generally using only the most popular apps, which are more likely to be updated. There are exceptions. Some abandoned apps are products of big name brands, including media companies, Fortune 500, Universities, and governments. What's going on, here? We have some guesses, based on issues we've seen over the years. Organizations may not yet be committed to carrying their app forward for several reasons: 1. 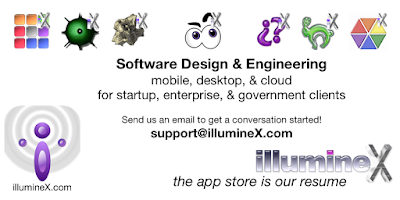 Not satisfied with the market reach or ROI; 3. project at risk due to creaky codebase & a pile of urgent backlog feature requests; 4. app created as an experiment with unclear goals; 5. app not reaching other business goals (viral marketing). 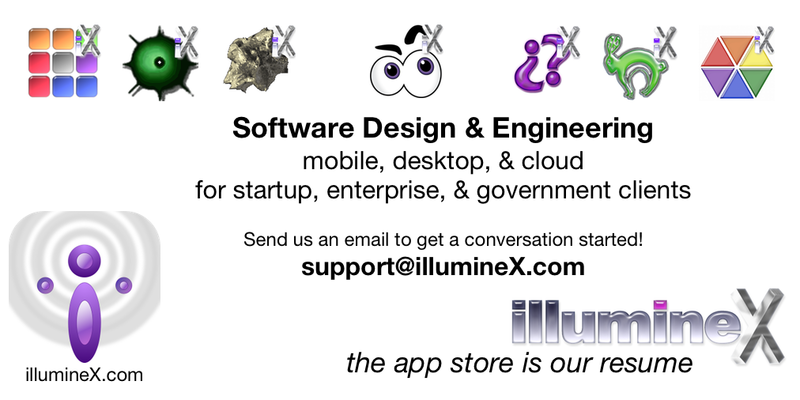 Contact illumineX today. We'd like to talk to you about possibilities for the future of your app, including a deeper look at viral marketing, community building, gamification, and the business model.